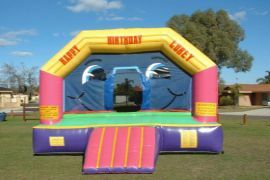 Western Australias largest inflatable products company. 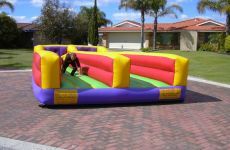 We specialize in all occasions, Our hire Bouncy Castles range is diverse and with forty five themes to choose from we are sure to cater for all your needs. Offering high quality, safety, and are cost effective. Social Clubs or just plain fun for the kids. Personalized with names or other greetings. come in all sizes with Built in sun and rain covers. 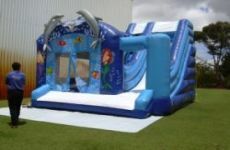 Please call our office and we will be more than happy to help you with a quote or any enquiry to find the right equipment for your event. 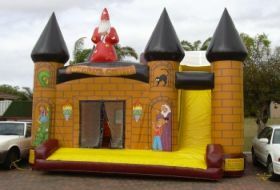 Our range of Bouncy Castles is so extensive and always being expanded so no other WA company can offer you more choice. With our 24 hour full back up and repair services you will never be let you down or dissapointed. Your events will be a success. We look forward to offering our services to you soon. 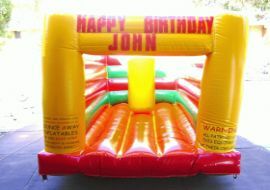 Best wishes from the Bounce Away team.